Chocolate Mousse. That can't be healthy right? It can the way I make it. Only three ingredients too. 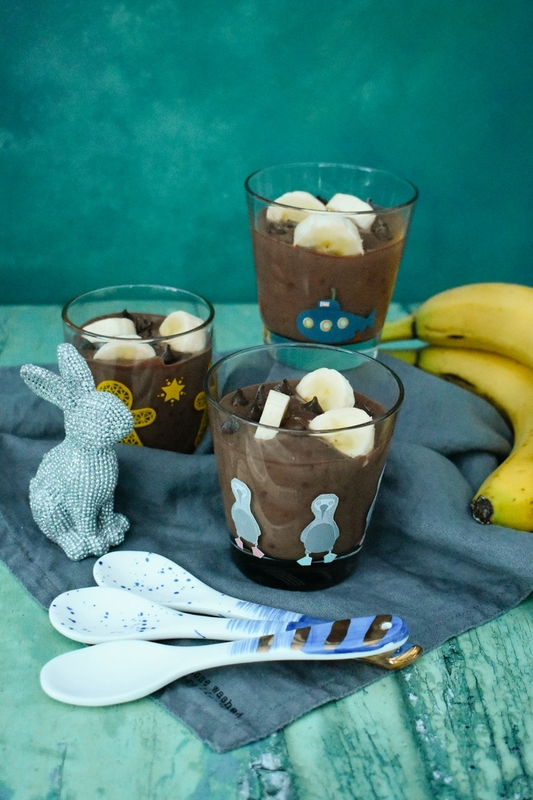 Bananas, silken tofu and cocoa powder. That's it! A rich indulgent chocolate mousse that's good for you. Although I do admit I added some dark chocolate chips for a change this time, but you could leave those out if you like.. This luxurious mousse is made in minutes, then you just pour it into glasses and pop it in the fridge to chill until you're ready to serve it. Doesn't that look good? 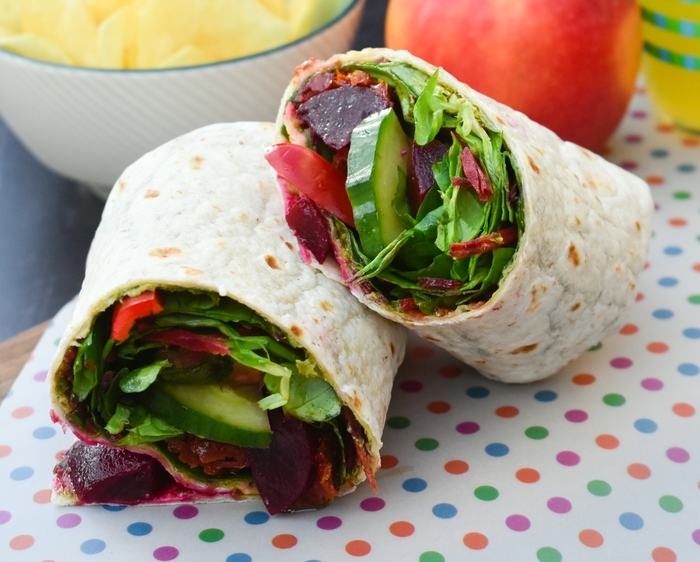 It's my favourite lunchtime wrap. And when I say favourite, you can fill in the blanks and figure out I eat this a lot. It is so darn tasty. The beets are pickled, the tomatoes are sundried for that rich flavour, the peppers are sharp and crunchy as is the juicy cucumber. The salad leaves are the filler and the tortilla is spread with dairy free pesto before the toppings are pilled on. It's a flavour explosion in the mouth! 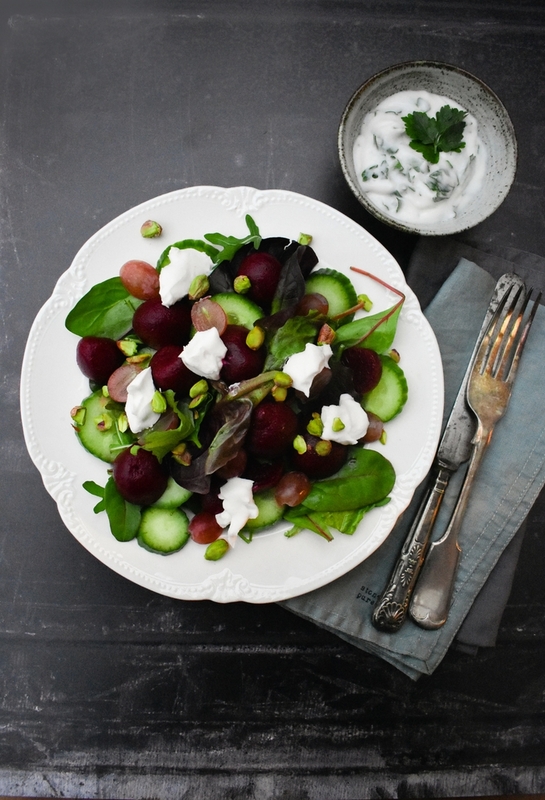 This beet, grape and cream cheese salad is a big tasty salad for one. It's all singing and dancing. It has salad leaves and cucumber as the base and it given a ping with some tasty pickled baby beets, which have the tang of vinegar and a slight sweetness. There is sweetness from the grapes, salty crunch from the pistachios and a hit of fresh herbs and garlic in the creamy yogurt dressing. Oh yes my friends this is a winner. Well actually it was all Graham's. I told him I'd make him a tasty lunch on Valentine's Day to enjoy after his dog walk (I shall not tell you I made him do housework and iron on his day off which just happened to be Valentine's Day, let's focus on the good stuff!). I had already eaten a salad wrap, but I did taste all the ingredients as I was assembling the salad. I mean what's a girl to do? Pancake day is nearly here and it's the perfect time to brush up your flipping skills and try out a new recipe. 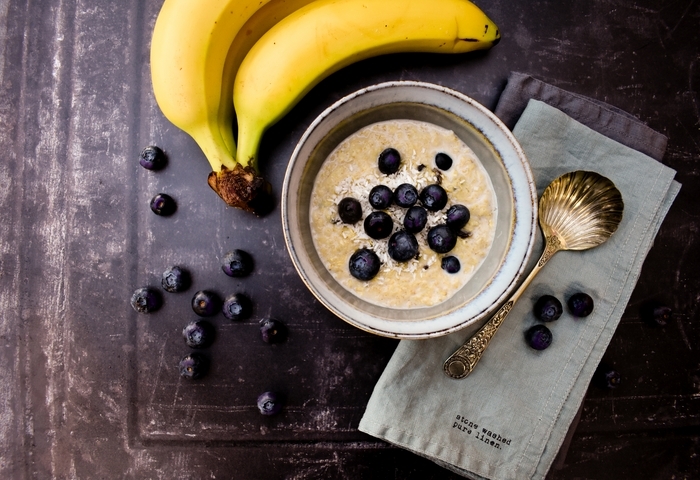 Today I'm sharing a recipe for healthier blender chocolate and banana pancakes. They are quick to make a super tasty! Why are these pancakes healthier? 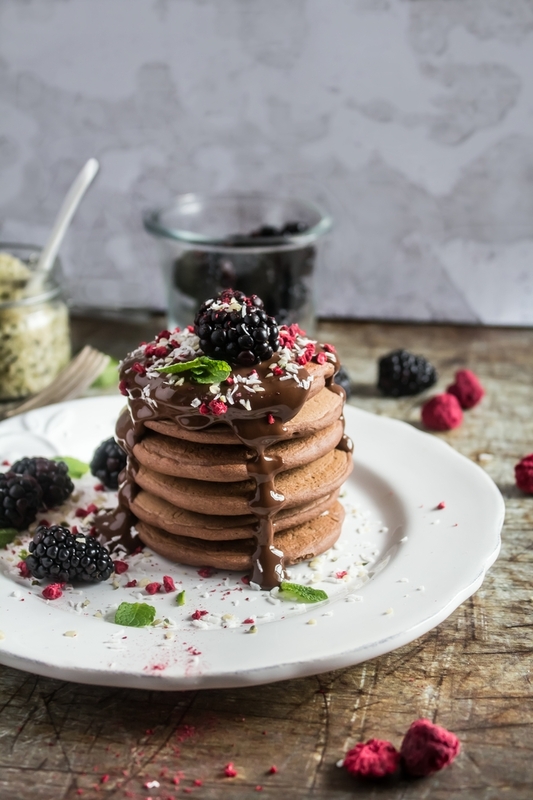 Generally pancakes are made with eggs, milk, sugar and flour and don't get me wrong, that makes a delicious pancake, but if you're looking for tasty pancakes that are healthier, lower in calories or suitable for a dairy free or vegan diet, then these are the pancakes for you. The chocolate flavour comes from good quality dark cocoa powder. The sauce has is made with cocoa powder and coconut milk with a little maple syrup to sweeten it. What can I say? 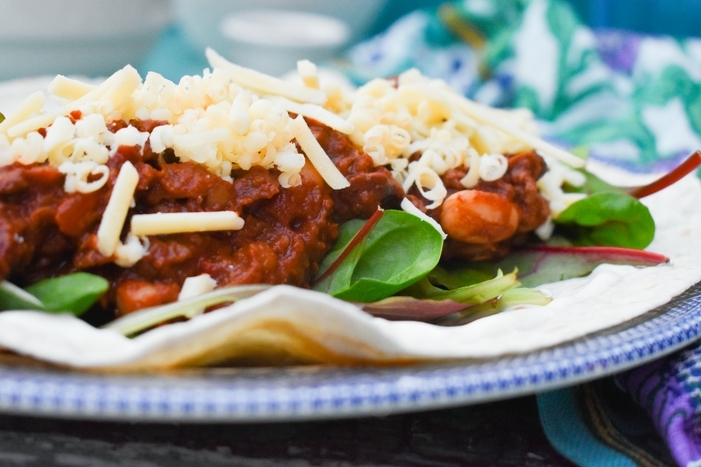 These easy chilli bean mince wraps are well tested in our house and I mean well tested We've been eating them for years and they are Cooper's favourite dinner. When I asked him what he would like for dinner yesterday, of course he said chilli wraps and how could I refuse him? I usually make a big pot as everyone loves them and always want them a second night too. I usually make enough chilli for two nights then enough leftover to pop in the freezer for another meal, but sometimes I just want to make enough for what we need. This batch makes enough for 4-6 tasty wraps, depending how deep you fill them. Graham and I like wraps really well filled, but Cooper prefers then a bit thinner and to be honest if I fill his a bit more modestly there is less chance of him getting in a total mess eating them.